Why is MOBILedit great for educational purposes? 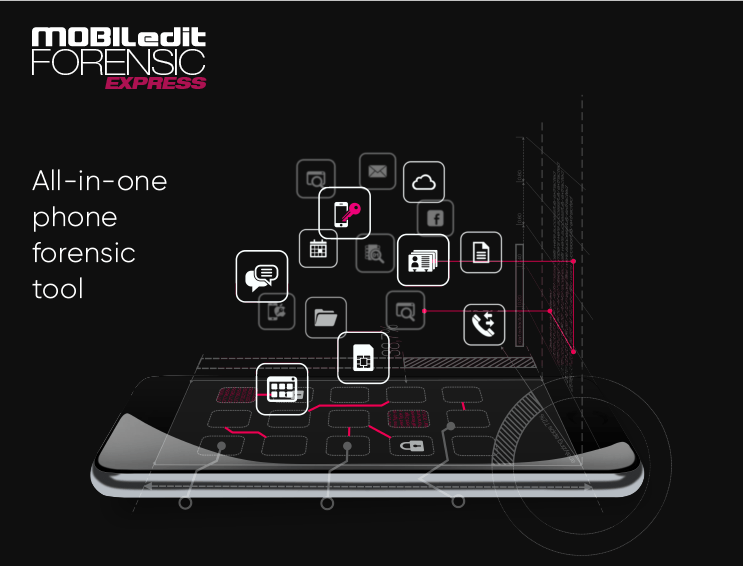 MOBILedit Forensic Express is a phone and cloud extractor, data analyzer and report generator all in one solution. A powerful 64-bit application using both the physical and logical data acquisition methods, Forensic Express is excellent for its advanced application analyzer, deleted data recovery, wide range of supported phones including most feature phones, fine-tuned reports, concurrent phone processing, and easy-to-use user interface. With the password and PIN breaker you can gain access to locked ADB or iTunes backups with GPU acceleration and multi-threaded operations for maximum speed. MOBILedit Forensic Express extracts all data from phones also into open data format, so you can see all the files in a PC directly as they are in the phone. This allows students to understand file system structure and use other tools, including open source tools, to further analyze data and deeply study it. This feature allows you to live view content of a phone so students can browse and extract any file even before the batch extraction begins. It is a two-panel style advanced tool like Total Commander, allowing for a deep low-level view of phone content and its filesystem. It saves time and is great for education. We all know that it is a good practice to use multiple tools in a lab. We've designed our software with the ability to integrate with other forensic tools. Import and analyze data files exported from Cellebrite UFED and Oxygen reports to get even more data. Export all data to UFED, so you can use the UFED Viewer or Analytics for further processing to move your investigation forward. This revolutionary engine allows us to update application analyzers on a daily basis. Time is crucial, so we’ve designed this new feature to allow you get the data you need in real-time – without the need to wait for support for app updates from your other tools. Being pioneers of the phone forensic field since 1996, we have supported an extremely wide range of phones manufactured over two decades. The software supports thousands of handsets including popular operating systems such as iOS, Android , Blackberry, Windows Phone, Windows Mobile, Bada, Symbian, Meego, Mediatek, Chinese phones, and CDMA phones. The software can handle many feature phones without an OS. We offer a few options for cooperation with educational institutions, to save you money and have your students experience one of the most important tools on the market made by pioneers in the phone forensic field. In order to receive a special discount the school must qualify for the special educational program. This program is not available for commercial training companies. After expiration, a review of the license usage will be done in order to re-qualify for the next period. Educational program B is limited for training and teaching purposes only. Any usage of licenses for commercial, investigational and other purposes is prohibited. After licenses expire it is necessary to deactivate and uninstall the product from all computers. Most evidence is currently hidden in mobile apps for messaging, social networking, sharing etc. It is a great challenge to mine all that data. Talented students could join our open team for application analysis, decryption and breaking apps' security. No advanced programming knowledge is required. We made it easy so learning the basics of Python and Xquery is enough together with some knowledge of databases and encryption. All new app analyzers created by students will be available to the whole world through Live Updates with credit to a particular student and university. They can safe lives. If you might be interested, please ask for complete documentation in the form below. Each of your file(s) can be up to 20MB in size.You can attach as many as 5 files at a time. Semester already started? No problem - your school can participate at any time, even mid-semester. COMPELSON, MOBILedit, and Phone Copier are registered trademarks.